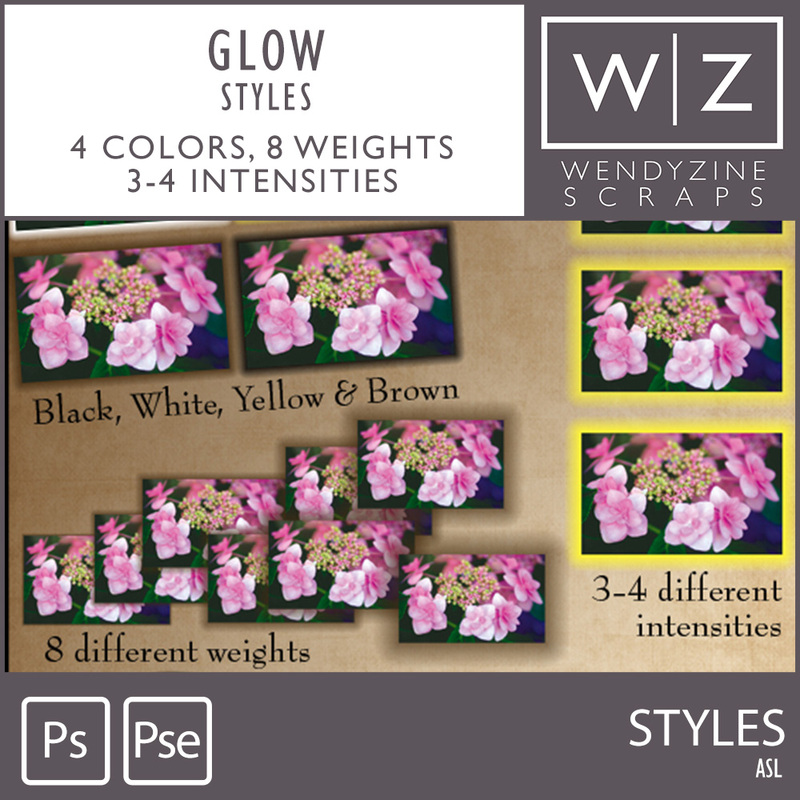 This kit is packed with lots of glow styles for adding a little dimension to your layouts. You get brown, yellow, black and white, each in 3-4 intensities and 8 different weights. Instructions included. Tested in PSCC+, and PSE11+. Mac and PC. Personal use, S4H or Designer use at no additional charge.